After conducting our scientific ONBC poll , it was decided that our next read will be PUBLIC ENEMIES by BRYAN BURROUGH! Come explore the world of the USA's most notorious criminals in the years 1933-1934. Meet Bonnie & Clyde, The Barker Gang and of course John Dillinger, Johnny's next announced role! The discussion will begin on February 4 and tidbits will start soon! Last edited by DeppInTheHeartOfTexas on Tue Jan 01, 2008 3:00 pm, edited 1 time in total. I love both of these upcoming discussions. 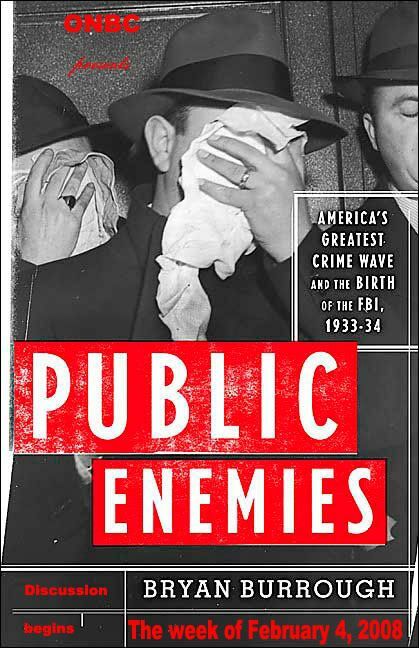 I am not sure if this is where to ask but with this news of Johnny signing to do this new" Public Enemies" film, might we consider reading it? Most definitely, gemini! We just don't want to change books in midstrem as it were. I think it will be a good read and tidbit heaven!